I’ll be offering two classes at our little farmette in Holley, New York, this fall! Spend the day in a small group setting creating beautiful loaves of bread while taking time throughout the process to consider the ingredients of our own lives, how we’re kneading them together, what’s taking shape and form in our lives, and how things are transforming in and around us! Even if you’re already comfortable with yeast, come spend the day with us to reconnect to both bread and life! Saturday, September 27: 9 AM – 1 PM. Develop your relationship with yeast in this session as we cover the basics of the bread making process! 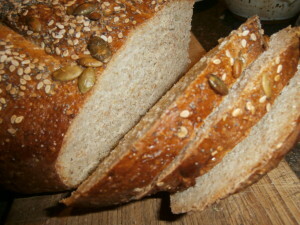 This class will include both multi-grain and Honey Wheat breads along with suggestions for modifying recipes. You’ll leave this class with the confidence to start producing great bread right in your own kitchen! The Maple Cream Cheese Coffee Cake that took the blue ribbon! Whether you’re just starting your journey with bread or well on your way, you’ll enjoy this class on yeasted sweet breads just in time for the holidays. 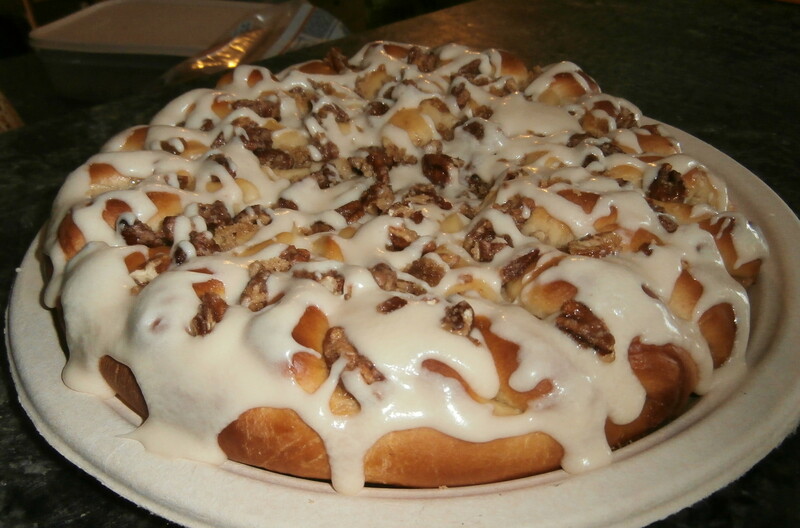 We’ll work in small groups to create Cinnamon Rolls with a Twist and a Trick, assorted filled danish, and my blue ribbon winning Maple Cream cheese coffee cake! Class registration is $45 (with a $5 discount for your first class if you’ve “liked” Kneading Life on Facebook or have joined my contact list!) A delicious lunch, which includes artisan pizzas that we’ll create with our own No-fail-anybody-can-do-it focaccia, is included. Because class sizes are limited to 10 participants, your registration must be paid in full in order to secure your place on the class list. Please consider your decision carefully. Only in the event that your class is cancelled, or another participant is able to fill your spot, can your money be refunded. 10% of all profits will be donated to feed the hungry. Why not gather up your journal, your favorite apron (if you have one! ), and maybe even a friend to join me for a day together around the bread bowl? 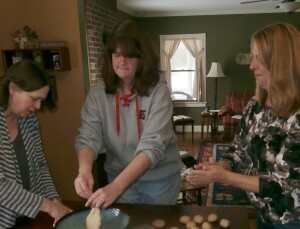 Staff from the Brockport Child Development Center taking time to make bread together here at the farmette! 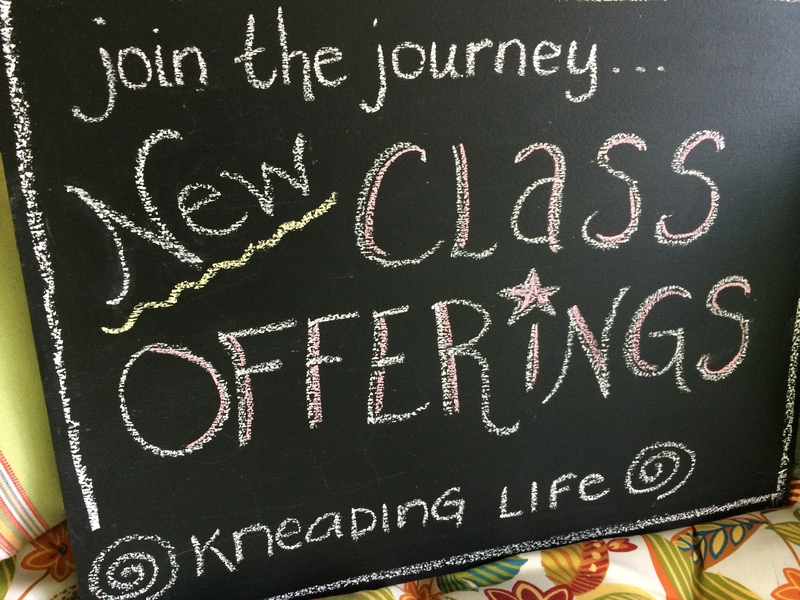 Contact me at kneadinglife@rochester.rr.com for a registration form or to discuss the possibility of working with your group on a retreat or staff development workshop! Don’t forget to check out Beyond the Blog to see what participants in past workshops have to say! I’m hoping you’ll be able to join me for a restorative day around the bread bowl! 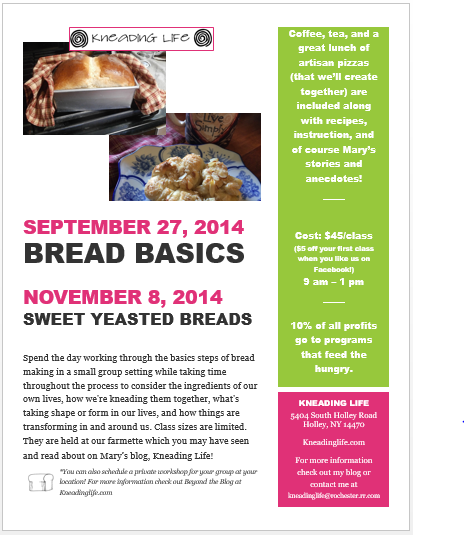 This entry was posted in Of life and bread, Upcoming classes! by Mary. Bookmark the permalink. Would like to sign up for the SEPT 7th class. First class so not sure how to sign up but I am very excited to come and learn. Just retired looking for some fun things to do. Looking forward to joining you.